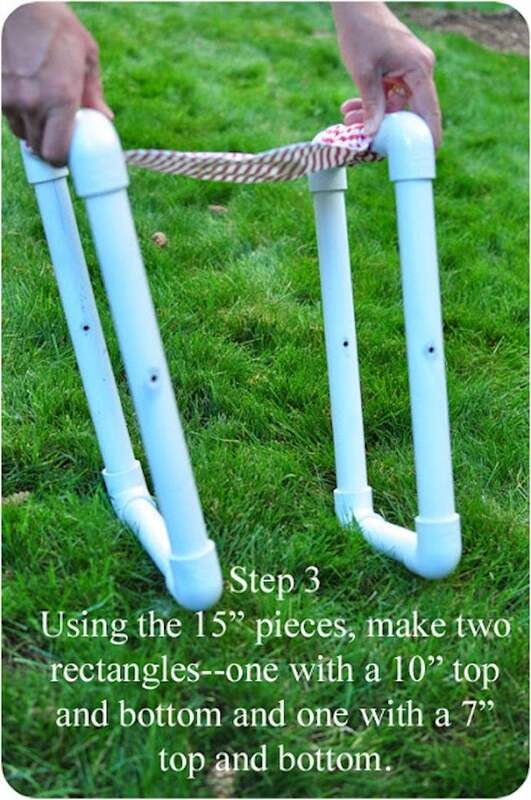 Turn PVC pipe into furniture like this blogger did. 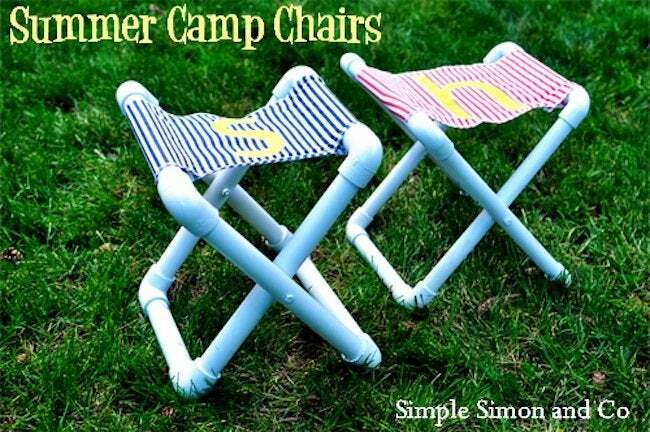 Summer might be over, but that didn’t stop us from appreciating these amazing (and amazingly simple-to-make) summer camp chairs. Made by one of the two Elizabeths behind Simple Simon and Company, these chairs are as affordable as they are easy to build. Plus kids will like them. That gets a thumbs up in our book. 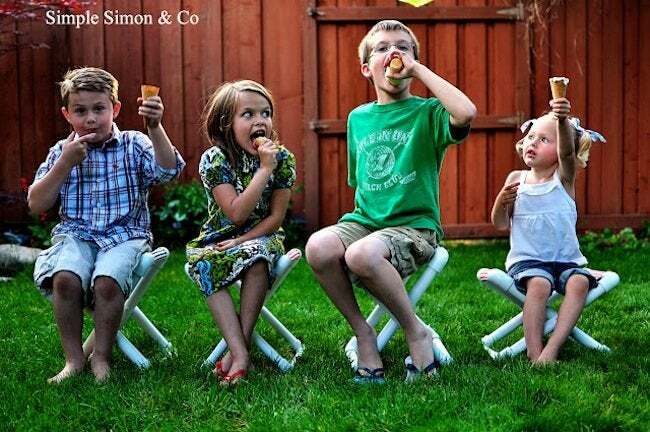 So take a look at how these PVC pipe chairs can be made in no time at all. So, in my summer nostalgia, I was telling Liz about how I wanted to make some stools like I had when I was little for our kids. And so we started talking…. 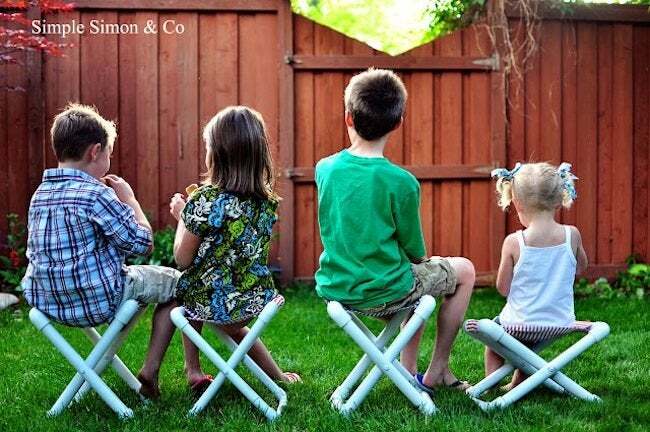 and we came up with these summer camp stools for our kids. AND. THEY. ARE. AMAZING. They are light, portable… and the best part… YOU DON’T EVEN HAVE TO ASK YOUR HUBBY TO MAKE THEM. They are so easy! Really. And they can each be made for around $6 dollars a piece. Even better. OK. Here is the deal. Go to your local home improvement store… ask them to cut the pieces, and help you find the rest of the pieces. You will have to drill 4 holes and that’s it. Really. We promise that you can do it! 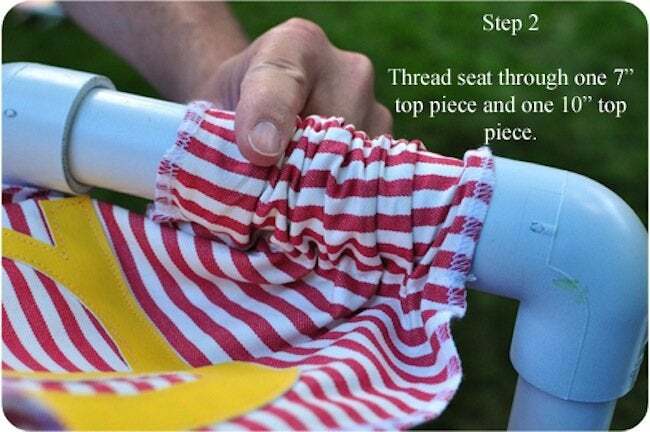 OK, here’s what you need to do to make the seat covers. One helpful tip–use a super heavy duty canvas. 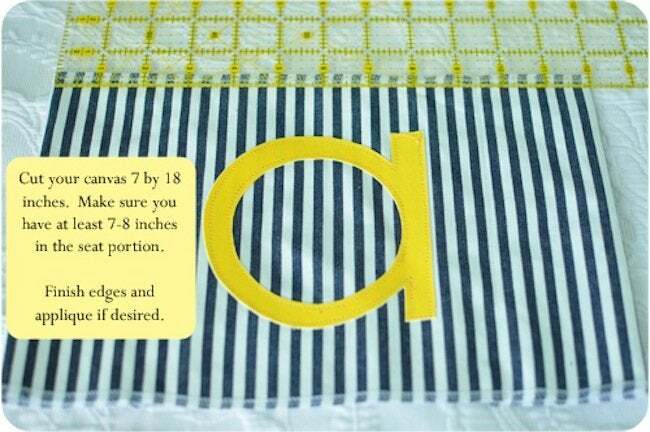 It needs to be able to hold the child’s weight and not stretch out or rip. Measure and sew a 2.5 inch casing on each side, enough to slide through the PVC pipe. 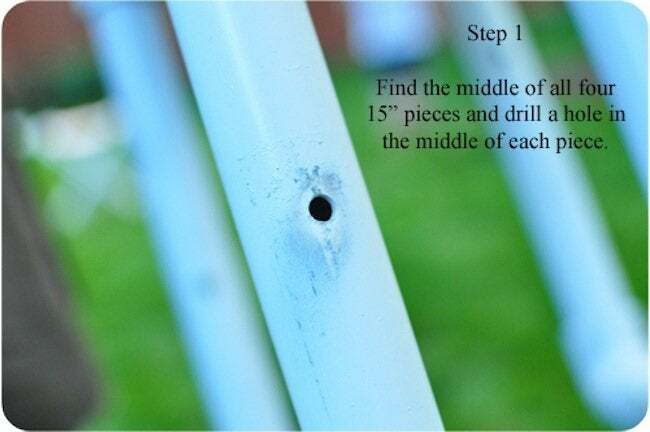 Find the middle of all four 15″ PVC pipes and drill a hole in the middle of each. Thread the seat through one 7″ piece of pipe and one 10″ piece of pipe. Make your pipes into rectangle shapes. 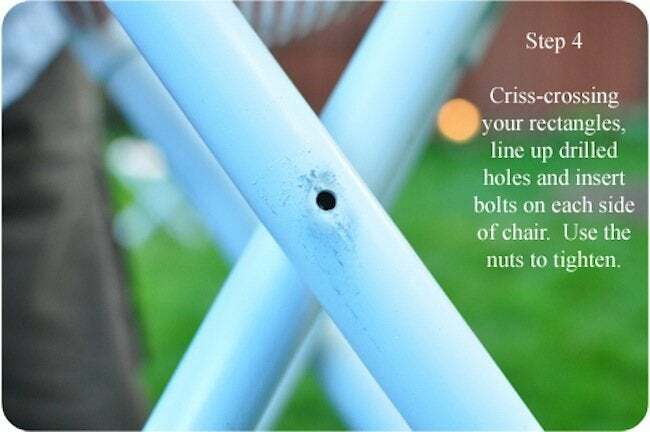 Then, criss-crossing your rectangles, line up your drilled holes and insert the bolts on each side of the chair. Use the nuts to tighten. Thanks to both Elizabeths at Simple Simon and Company for sharing with us. To see more of their crafts for kids or some fun fall projects, check out their website.